Researched and written for golfers travelling to the UK.... or those that dream to. 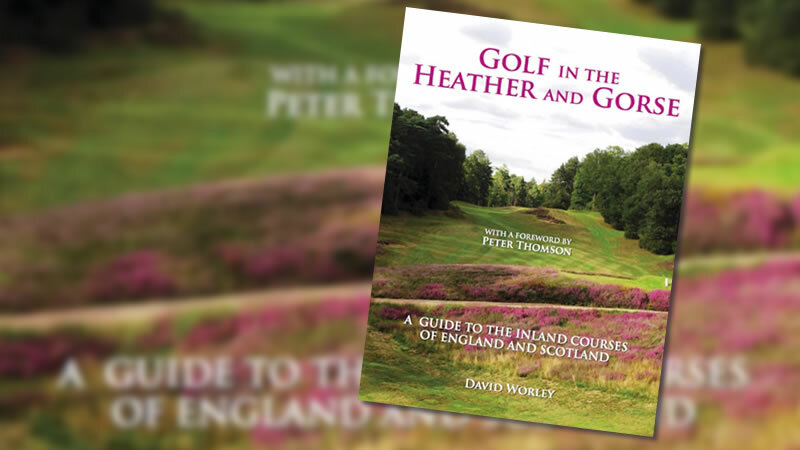 Published in August 2015, David Worley's new book "Golf in the Heather and Gorse"
The book is of high quality and reviews over 70 heathland and inland courses in England and Scotland and features over 300 superb photographs. This is a limited edition and is only available on this website. Our golf books are written for golfers of all ages - you don't need to be a pro in order to play the great golf courses. So much is guesswork and unknown when planning a golfing holiday. Using our golf books as a resource, much of this guess work is taken out of your trip, leaving more time for more important things - like practicing your swing. Another Journey Through The Links is the updated sequel to the award winning Journey Through The Links. An additional 10 courses have been added, making a total of 165 links courses in the UK and Ireland. Many of the courses have been re-photographed, particularly in Scotland, and information updated to make this the most complete guide ever written on links courses in Britain and Ireland. 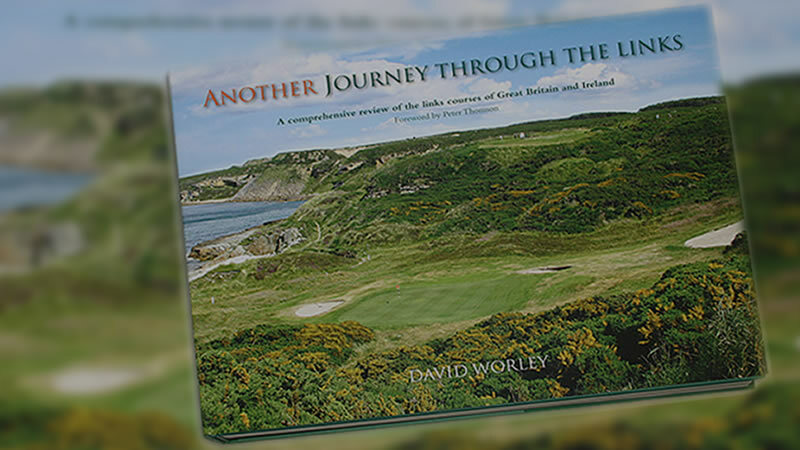 Another Journey was the only golf book short-listed for the 2011British Sport Book Awards. Courses are covered in the geographical order in which I suggest you play them on a golfing trip. There are over 530 beautiful photographs along with comprehensive text and a Foreword by the late Peter Thomson. Sports Illustrated USA voted Journey through the Links as the no.1 golf book in the world for 2007. Another Journey is even better. 'Stunning photography and elegant prose'. When combined with Golf in the Heather and Gorse which has information on a further 70 courses, this time covering heathland and inland courses, then the reader has a very complete guide to golfing in this region. Journey Through The Links is the most comprehensive review of links courses ever undertaken. The book is very high quality and contains 530 colour photos. The 400 large pages review 155 links courses in the UK and Ireland. With a foreword by Peter Thomson, this beautifully presented book has been 10 years in the making and is both a collector's delight and is also a must for anyone contemplating playing the links courses of Great Britain and Ireland. What are people saying about our Golf Books? Journey through the Links offers 400 pages of fresh imagery and revealing insights into the world's best links courses. David Worley's effort is most handy in highlighting the lesser-known links that most Americans skip. The book serves as a perfect postcard for anyone who has played the great links, as well as a valuable resource for planning a return journey to enjoy those hidden gems that capture the essence of the game. Book of the Month - October 2007. Ten years is a long time to devote to any one project... but in David Worley's case it has been time extremely well spent. In Journey through the Links the author takes you on a stunning tour of 155 seaside tracks in Great Britain and Ireland. As you can imagine the pictures alone are enough to keep you transfixed for another decade..
Worley's narrative is candid, yet he clarifies his opinions on the golf courses, not shying away from aspects which pleased, bugged or mystified him. The physical appearance of Journey through the Links is impressive - clearly a significant investment has been made. On a personal note I found Worley's deference to the Welsh links, both famous and unheralded, as the highlight of the publication. Worley has traipsed untold miles of coastline and fashioned a good story along the way. The research has paid off. While the famous links courses... are covered, Worley unveils a range of gems most Australian golfers have never heard of. 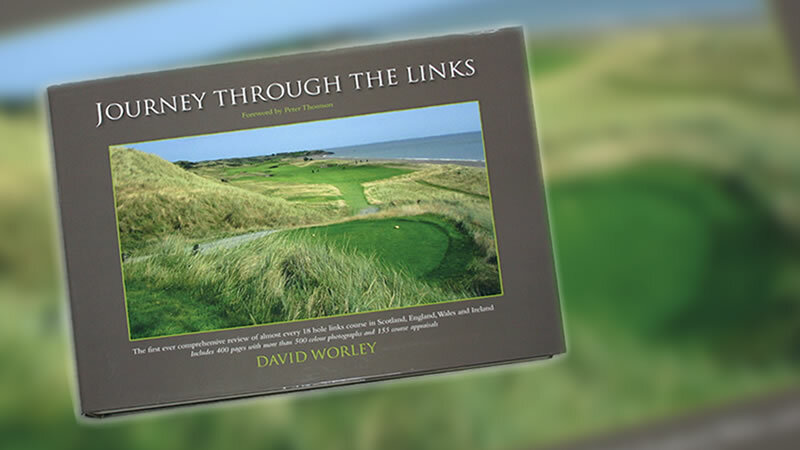 Journey through the Links... is a must for any golfer's library. Ready to go travelling in the UK and not sure where to play? Stay up to date with the latest news and offers from Golf Books.